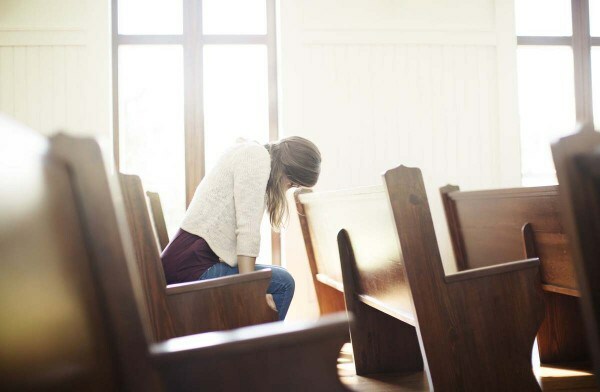 The enemy is whispering into many ears, lies of doubt and unbelief: “You don’t belong there.” “Nobody wants you.” “You’re not good enough.” “You don’t need THEM!” These lies are swirling among those who have been disappointed with the Church and the Body of Christ, telling them it’s too risky to get close again. And yet, they know they can’t move any further on their own. If you are one of these who has heard those whispers and feels powerless to change, the Lord would have you know you are NOT ALONE. You are feeling what many of your brothers and sisters are feeling. If one member suffers, all suffer together; if one member is honored, all rejoice together. (1 Corinthians 12:26 ESV) Though you may not realize it, your spiritual DNA is written upon your spirit and calling you higher! You are part of an eternal family that is drawing you by the Spirit of God because YOU DO BELONG. You are but one of many sons and daughters of the kingdom who have yet to know the fullness of who you are, what you were born for, and what you were designed for. The cry of your heart is the cry of your Heavenly Father who longs for you to join the Body so that you can know the FULLNESS for which you were born. There is an aspect of your spiritual growth that can ONLY happen within the context of THE BODY. You are a part of His Body, regardless of which part. You cannot deny it, and you cannot stop it. You have been wired from your very conception to be a living, breathing part of the Body of Christ. Not only do you need the Body, but the Body needs YOU! Regardless of your personal experience with the Lord or any encounters and breakthroughs you’ve already had on your own, you will never know the FULLNESS of your call and destiny apart from the Body. There is, in this season, an increased anointing, authority, and spiritual EMPOWERMENT upon the BODY of Christ. Just as individuals can be filled with and empowered by the Spirit of God, so there is a CORPORATE FILLING and empowering that goes far beyond what any single believer can accomplish or experience (Psalm 133). Consider what happened when the Holy Spirit was first poured out upon those hungry believers in Jerusalem and the resulting impact of their oneness of heart and corporate commitment. Pentecost came as they tarried together in the upper room (Acts 2:1-4). Mass evangelism occurred when they met and worshipped together (Acts 2:46-47). Greater boldness and courage in the public square came out of corporate fellowship and prayer (Acts 4:29-31). Grace for the miraculous increased as believers walked together (Acts 4:32-33; 5:12-14). God has a destiny and purpose for you that is intricately tied to His Body. It will require faith to step into it. It will require risk because people may let you down. But, the Father will never let you down, nor will He lead you astray. This is a time when a FULLNESS is coming to the Body of Christ – a fullness of the knowledge of the glory of God (Hab. 2:14); a fullness of the gifts and demonstrations of the Spirit of God (Ephesians 4:13-16); and a fullness of the Father’s perfect love (Ephesians 3:14-19). This FULLNESS can only be realized when YOU JOIN THE BODY and BE the part you were created to be. This means joining and sticking with a household of faith for the long-haul. If you have been wounded, you can find healing. If you have felt forgotten, you will be recognized and embraced. If you have been rejected, there is a place where you will be celebrated. If you have been alone, you can find your family. THERE IS GRACE IN THIS HOUR TO BELONG. This will be an ACT OF FAITH on your part. To join the Body means to trust your Father who is the Head. He will lead you to the right household of faith. He will teach you to trust again. He will give you opportunities to serve and find your place. The same love that Jesus has for His Bride, He will give to you, if you but trust Him. YOU BELONG to the family of God. It’s time to step in and get attached. Stop visiting and start engaging. Stop looking from the sidelines and step into meaningful relationships within a local fellowship. What man cannot do, Holy Spirit will do. Keep a humble spirit. Risk again. Determine to serve others in love. Watch who He brings in your path. You are needed, and the Body is looking – even waiting – for you to come and belong. This is so good, a word in season! Thank you so much for sharing, I so needed this. It put to words the things I have felt in my spirit but couldn’t quite express myself. The pieces fell into place and I could see the full picture of what God has been trying to show me. To take that step of faith and dare to risk again. To trust Him and engage with a renewed love for the body of Christ. I am overwhelmed with thankfulness in my heart for His goodness and faithfulness towards us. Thank you for that message Wanda…I’m speechless. Every word of your newsletter and video described what I have been experiencing, and no one has ever understood it! I am all 3 categories, and God has been miraculously healing me from the first 2. Just yesterday, my husband and I felt led to move from the large congregation we have been attending, and get connected with certain small congregation. The Lord told me that now was the time to start trusting again, and get engaged with this family, of which the pastor and his wife are true spiritual parents to this orphaned generation. However, I didn’t realize we were being led there for* our* healing! The words that impacted me most in your letter, was, *”If you have been forgotten, you will be recognized and embraced. If you have been rejected, there is a place where you will be celebrated.” *Even as I write those words, I weep. Only God knows what I have been through in a former church and in my childhood, how it has devastated me, and the revelations God has given me from His Word to bring restoration. You have described them pretty much *word for word! *I cant thank you enough!!!!! Thank you! Your Article is exactly what I I am at. Aching and Longing! I appreciate your Timely Encouragement!